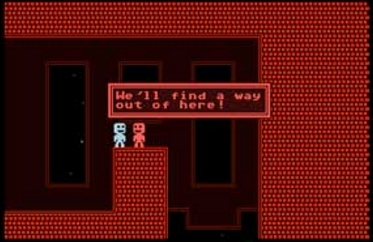 Terry Cavanagh’s challenging 2D platformer, VVVVVV, just got a lot harder to play on the Nintendo 3DS. Merely one day after a new exploit was released that used the game to run homebrew code Nintendo pulled it from the 3DS eShop. Cavanagh himself was surprised at the news stating on twitter, “that’s unexpected!”. While the exploit was only reliable with other exploits already in place, Nintendo apparently wasn’t taking any chances and pulled the game. It’s not the first game to be delisted thanks to an unexpected exploit. The infamous Cubic Ninja was removed from the eShop in November of 2014 for its use in bypassing the handheld’s software protection. The difference with VVVVVV is that the game was never released on a cartridge making it totally unavailable today on the 3DS. Fortunately, the game was released on a number of platforms and is still readily available for PC, mobile, PlayStation 4 and Vita. Check out the game’s Delisted page for more.